Last Tuesday night our Shul celebrated its 175th Anniversary milestone with a fabulous black tie Gala Dinner. Being the first Shul in South Africa it also marked 175 years of organized Jewish life in South Africa. The celebration was held at the newly built Conference Centre in Century City and it was beyond any of our wildest expectations! Oshy (my husband) and I , had both our parents here from Johannesburg and Australia which made it that much more special for us and I was blessed to have all my siblings who are in South Africa at the event to celebrate with us. When my hubby and I were discussing talking at the dinner, we both felt that it would be really nice if we spoke together. (Even though I won't lie and say there were no nerves at having to stand up and speak to close to 700 people) but BH it all worked out in the end and I must say that the past 10 years of practice definitely helped me on the night. Lots of people came over to me afterwards saying how refreshing it was to have a female speaker on the program and how its great to see us work as a team, which I can say, is the only way to work! At the dinner there were special guests like the Chief Rabbi of England who flew in to give the keynote address, the Chief Rabbi of South Africa and top entertainers from our very own Choni G (my brother) to the hilarious MC Nik Rabinowitz and music legend Johnny Clegg, but mostly we felt blessed to celebrate the past and more importantly the future together with the community! Everyone has asked me to post where I bought my dress, shoes and who did my hair so here goes. Do you need a break after the holidays? Hello hello to all of you - let's bring on 2016! It's been a while since I last blogged and have had a busy but great bonding time with the family. I had my brother and sister-in-law stay with us for 3 weeks from Johannesburg and their six kids - can't help but say three sets of twins! I also had my parents join us in Cape Town for a few days and my sister and brother-in-law from Uruguay with their three kids. Add on the Cape Town family and it was quite a tribe! We spent a beautiful Shabbos all together at us (I think there were 20 people sleeping under one roof!) and coming from a big family it's very rare for so many of us to be together without a Simcha happening at the same time. 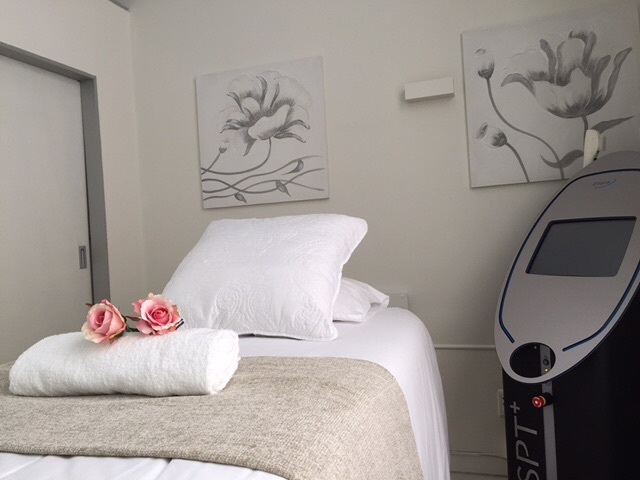 While it was very special hosting family and friends, I think that all Capetonians can do with a little alone time and pampering after the holidays. I have the perfect place if you just want some quiet and relaxation - a little oasis in in town, which is so peaceful that I found myself dosing off when I paid them a visit. It is a fabulous Beauty Salon called ‘Precision Beauty’ and they offer a wide range of services including: Massage, Manicure, Pedicure, Laser hair removal and more. It is a new, modern facility, with friendly staff and a great ambiance. Check out their Facebook page here for full details. It is also great place to visit before Mikvah to help with all your preps. Special promotional offer: If you tell them that you heard about them from ‘Rabbis Wife!’ you will receive 20% off all treatments. 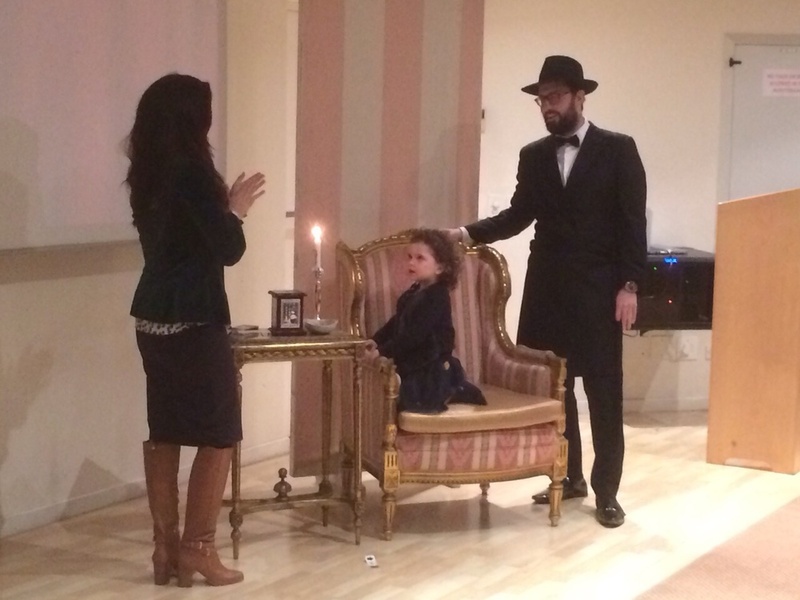 This past Friday we celebrated our daughter Laya's third birthday party with a pre Shabbat candle lighting ceremony and celebration. 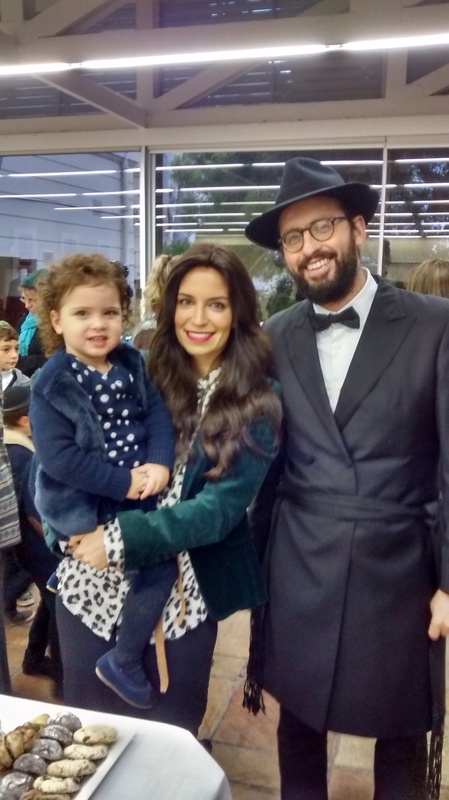 There is a custom for girls to start lighting their own Shabbat candle from the age of three and as of last Friday, Laya will join me by lighting a Shabbat candle of her own every week. We showed this cute video at the celebration before Laya lit her first candle. It shows her preparing and excitedly looking forward to Shabbat. Enjoy! Was very special that my mom joined us from Joberg for the occasion. I loved the hanging tea cups idea - Thanks to Seon from Event Interiors for her creativity! There were plenty homemade baked treats to enjoy! I can't believe I have a seven year old child! I'm not going to use the cliche how it 'feels like just yesterday', but it definitely doesn't feel as long as seven years ago that I became a mom to the most perfect little angel - who then got colic and reflux and proceeded to scream for the next nine months! Thank G-d that stage of his life has passed and he has grown into the most beautiful, sensitive, loving and caring boy and big brother. So yesterday we celebrated Menny's birthday with his friends at Aquabranch, the place he chose to have his party. Acrobranch, nestled in the beautiful forests of Constantia Nek, is 2 hours of huge fun with Tarzan swings, crossings, walkways, bridges, acro-bungy and zip lines! The kids were literally in heaven! What I love about it is that it is outdoors in nature in the fresh air and all the exercise means they sleep very well afterwards! The next week or two is quite busy because in addition to the upcoming Festival of Shavuot I have my hubby's birthday and then a special Shabbat candle lighting ceremony for the community next Friday for my daughter Laya who is turning three and will be starting to light Shabbat candles with me. So if it's a little quieter from my side you now know why! 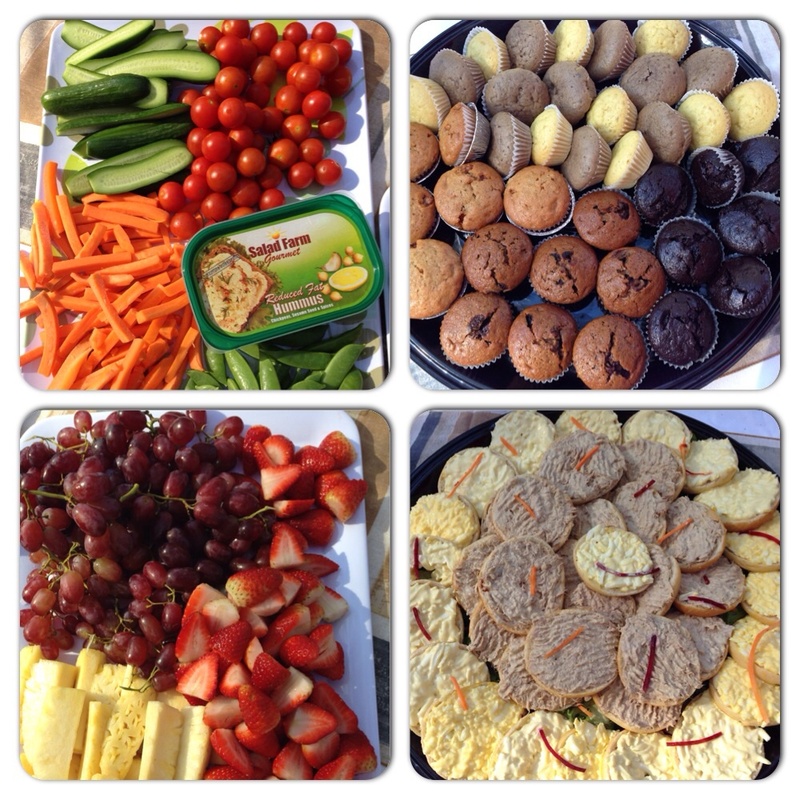 Here is some of the food that I brought along. When I asked Menny what he wanted on his cake, it was cute to hear his response. A house with smoke coming out of the chimney and a tree! I'm glad he doesn't feel the need to have a superhero themed party! I also baked the delicious peanut butter oatmeal cookies and chocolate and cinnamon Rugelach - both recipes can be found in the food category on the blog. We had some family photos taken last week and I must be honest, it always stresses me out thinking about getting everyone together, somewhat matching and in a good mood. But I'm always happy once it's done and we have pictures of the family to keep forever. We chose the Company Gardens as the location for the shoot. It is literally down the road from us and the Gardens are stunning! The idea of this shoot was to be set in nature; relaxed and chilled and the Gardens was the perfect spot. But thank G-d it was a great shoot (nothing like some good old fashioned bribery!) and we all had lots of fun. A big part of that was the photographer Anthea. Not only does she know how to capture the moment and take stunning photos but she is so relaxed and brings a great energy to the shoot - which is really helpful when you're trying to get kids to behave and smile. Another really nice touch was the gorgeous enlarged framed family photo and a range of printed photographs that were delivered to my home a few days after the shoot in a beautifully decorated box. It is all part of Anthea's package and such a pleasure because it would otherwise take me forever till I would get around to printing the pictures. Anthea has kindly offered a R200 discount for a family shoot if you book her before the end of May and mention that you saw the promotion on my blog. You can check out more of Anthea's work here. My dress is from Totally Her - Brooklyn, New York.